Professor Mark McGuire is a cardiologist and specialist cardiac electrophysiologist (a doctor who specialises in the treatment of abnormal heart rhythms). He graduated in Medicine from the University of New South Wales with First Class Honours. He trained in internal medicine and cardiology at St Vincent’s and Westmead Hospitals in Sydney. He was Clinical Superintendent of Westmead Hospital in 1991 and 1992. He holds a Doctor of Philosophy Degree in Medicine from the University of Sydney and spent 2 years doing post-doctoral research in Amsterdam at the Academic Medical Centre and University of Amsterdam. Professor McGuire was awarded the prestigious Neil Hamilton Fairley Scholarship by The National Health and Medical Research Council. He returned to Royal Prince Alfred Hospital in 1994, where he founded the Cardiac Arrhythmia Service. 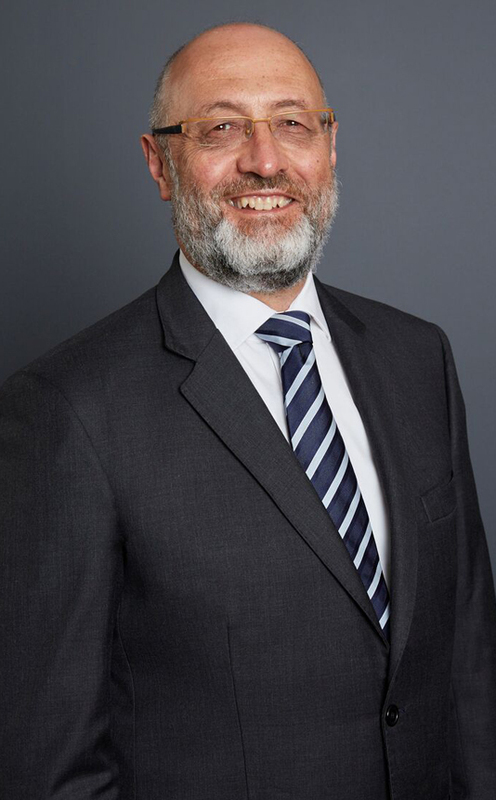 He is a Senior Staff Specialist at Royal Prince Alfred and Prince of Wales Hospitals and is a Visiting Medical Officer at the Mater Hospital, the Prince of Wales Private Hospital, Eastern Heart Clinic and Macquarie University Hospital. He is Chairman of Cardiovascular Medicine and a member of the Medical Advisory Board at the Mater Hospital. He is a Clinical Professor of Medicine in the University of Sydney and has delivered numerous papers to national and international scientific meetings. Professor McGuire is a Fellow of the Royal Australasian College of Physicians and the Cardiac Society of Australia and New Zealand. Professor McGuire regularly performs cardiac electrophysiological studies and catheter ablations for abnormal heart rhythms and has performed more than 9,000 of these procedures, including more than 600 ablation procedures for atrial fibrillation. Professor McGuire is an expert in the management of patients with pacemakers and implantable defibrillators and runs clinics for the management of these devices at the Heart Rhythm Centre and regional clinics in Orange, Dubbo and Nowra. Professor McGuire’s research interests include supraventricular tachycardia, sudden death in the young, arrhythmias in patients with complex congenital heart disease, atrial fibrillation and, in particular, the biophysics of cryoablation of atrial fibrillation. He teaches medical students at the University of Sydney. He has served on the editorial boards of two major medical journals specialising in abnormal heart rhythms (Heart Rhythm and the Journal of Cardiovascular Electrophysiology). McGuire MA. Koch’s triangle: useful concept of dangerous mistake? Journal of Cardiovascular Electrophysiology 1999; 10:1497-1500. McGuire MA. Atrial Fibrillation: Much Heat, a Little Light. Journal of Cardiovascular Electrophysiology 2006;17:1286-1287. Ghosh J, McGuire MA. The Full Circle: Back into the Pulmonary Veins: A new Possibility in AF Ablation? Journal of Cardiovascular Electrophysiology 2015;26:1007-1008. McGuire MA, Ross DL, Johnson DC. Surgical techniques for the cure of atrioventricular junctional reentrant tachycardia. Coronary Artery Disease 1991; 3: 186-191. McGuire MA, Janse MJ, Ross DL. AV nodal, AV junctional or atrionodal reentry? Journal of Cardiovascular Electrophysiology 1993; 4 : 573-586. McGuire MA, Janse MJ. AV junctional reentrant tachycardia: new insights on anatomical location of components of the reentrant circuit and ablation therapy. Current Opinion in Cardiology 1995;10:3-8. McGuire MA. Paroxysmal supraventricular tachycardia: a century of progress. Heart, Lung and Circulation 2007;16:222-228. Lau KC, McGuire MA, Ross DL. Electrophysiological study in supraventricular tachycardia. Annals of the Academy of Medicine, Singapore 1990; 19 (1): 84-89. Janse MJ, Anderson RH, McGuire MA, Ho SY. “AV nodal” re-entry revisited. Journal of Cardiovascular Electrophysiology 1993; 4: 561-572. Janse MJ, McGuire MA, Loh P, Thibault B, Hocini M, de Bakker JMT. Electrophysiology of the A-V node in relation to A-V nodal reentry. Japanese Heart Journal 1996;37:785-791. Janse MJ, McGuire MA, Loh P, Thibault B, Hocini M, de Bakker JMT. Electrical Activity in Koch’s triangle. Canadian Journal of Cardiology 1996; 13:1065-1068. Singleton CB, McGuire MA. The Brugada syndrome: a recently recognised genetic disease causing sudden cardiac death. Medical Journal of Australia 2000;173:415-418. Shakkottai P, Sy RW, McGuire MA. Cryoablation for Atrial Fibrillation in 2017: What Have We Learned? Heart Lung Circ. 2017 Sep;26(9):950-959. doi: 10.1016/j.hlc.2017.05.115. Epub 2017 May 26. McGuire MA, Lau KC, Johnson DC, Richards DA, Uther JB, Ross DL. Patients with two types of atrioventricular (“AV nodal”) reentrant tachycardia – evidence that a common pathway of nodal tissue is not present above the reentrant circuit. Circulation 1991; 83: 1232-1246. McGuire MA, Bourke JP, Robotin MC, Johnson DC, Meldrum-Hanna W, Nunn GR, Uther JB, Ross DL. High resolution mapping of Koch’s triangle using sixty electrodes in humans with atrioventricular junctional (“AV nodal”) reentrant tachycardia. Circulation 1993;88[part 1]:2315-2328. McGuire MA, de Bakker JMT, Vermeulen JMT, Opthof T, Becker AE, Janse MJ. The origin and significance of double potentials near the atrioventricular node: Correlation of extracellular potentials, intracellular potentials and histology. Circulation 1994;89:2351-2360. McGuire MA, de Bakker JMT,Vermeulen JT, Moorman AFM, Loh P, Thibault B, Vermeulen JLM, Becker AE, Janse MJ. The Atrioventricular Junctional Tissue: Discrepancy between Histologic and Electrophysiologic Characteristics. Circulation 1996;94:571-577. McGuire MA, Johnson DC, Nunn G, Yung T, Uther JB, Ross DL. Surgical therapy for atrial tachycardia in adults. Journal of the American College of Cardiology 1989;14:1777-1782. McGuire MA, Robotin MC, Bourke JP, Yip ASB, Johnson DC, Dewsnap BI, Grant P, Uther JB, Ross DL. Electrophysiologic and histologic effects of dissection of the connections between the atrium and posterior part of the atrioventricular node. Journal of the American College of Cardiology 1994;23:693-701. McGuire MA, Yip ASB, Robotin M, Bourke JP, Johnson DC, Dewsnap BI, Chard R, Uther JB, Ross DL. Surgery for the Cure of Atrioventricular Junctional (“AV Nodal”) Reentrant Tachycardia: Anatomic And Electrophysiologic Effects of Dissection of the Anterior Atrionodal Connections in a Canine Model. Journal of the American College of Cardiology 1994;24:784-794. McGuire M, Kuchar D, Ganis J, Sammel N, Thorburn C. Natural history of late potentials in the first ten days after acute myocardial infarction and relation to early ventricular arrhythmias. American Journal of Cardiology 1988;61:1187-1190. McGuire MA, Yip ASB, Lau KC, Lo CW, Richards DA, Uther JB, Ross DL. Posterior (“atypical”) atrioventricular junctional reentrant tachycardia. American Journal of Cardiology 1994;73:469-477. McGuire MA, Johnson DC, Robotin MC, Richards DA, Uther JB, Ross DL. The dimensions of the triangle of Koch in humans. American Journal of Cardiology 1992; 70: 829-830. McGuire MA, Lau KC, Davis LM, Knight P, Uther JB, Ross DL. Permanent junctional reciprocating tachycardia misdiagnosed as cardiomyopathy. Australian and New Zealand Journal of Medicine 1991; 21: 239-241. Yip ASB, McGuire MA, Davis LM, Ho DS, Richards DA, Uther JB, Ross DL. Lack of effect of midazolam on inducibility of arrhythmias at electrophysiologic study. American Journal of Cardiology 1992; 70: 593-597. Kelly R, McGuire M, Healy J, Gibbs H, O’Rourke M. ECG evidence of limited myocardial infarction following coronary occlusion treated by early intravenous rt-PA infusion. European Heart Journal 1990; 11: 328-333. Vermeulen JT, McGuire MA, Opthof T, Coronel R, de Bakker JMT, Klopping C, Janse MJ. Triggered activity and automaticity in ventricular trabeculae of failing human and rabbit hearts. Cardiovascular Research 1994;28:1547-1554. Lau KC, McGuire MA, Ross DL, Nunn GR, Knight WB, Uther JB. Incessant ventricular tachycardia in infancy. Journal of Paediatrics and Child Health 1990; 26: 95-98. Davis LM, Byth K, Ellis P, McGuire MA, Uther JB, Richards DA, Ross DL. Dimensions of the human posterior septal space and coronary sinus. American Journal of Cardiology 1991; 68:621-625. Bourke JP, Richards DA, Ross DL, Wallace EM, McGuire MA, Uther JB. Routine programmed electrical stimulation of survivors of acute myocardial infarction for prediction of ventricular tachyarrhythmias during follow-up: results, optimal stimulation protocol and cost-effective screening. Journal of the American College of Cardiology 1991: 18: 780-788.
de Bakker JMT, Coronel R, McGuire MA, Vermeulen JT, Opthof T, Tasseron S, van Hemel NM, Defauw JJ. Slow potentials in the AV junctional area of patients operated upon for AV nodal tachycardias, and in isolated porcine hearts. Journal of the American College of Cardiology 1994;23:709-715. Bourke JP, Richards DAB, Ross DL, McGuire MA, Uther JB. Does the induction of ventricular flutter or fibrillation at electrophysiology testing after myocardial infarction have any prognostic significance? American Journal of Cardiology 1995: 75:431-435. Kilborn M, McGuire MA. Radiofrequency catheter ablation of atrioventricular junctional (“AV nodal”) reentrant tachycardia in patients with implantable cardiovertor defibrillators. Pacing and clinical electrophysiology 1998;21:2681-2684. Corcoran SJ, Lawrence C, McGuire MA. The valve of Vieussens, an important cause of difficulty in advancing catheters into the cardiac veins. Journal of Cardiovascular Electrophysiology 1999; 10: 804-808. McLachlan CS, Yin J, Driussi C, Landau AJ, Chaufour X, White G, Hambly B, McGuire MA. Delay in opening the infarct related artery increases plasma atrial natriuretic peptide levels. European Journal of Pharmacology 1999;379:R3-R4. McLachlan CS, Yin JL, Driussi C, Jusuf PR, Hambly B, McGuire MA. A semi-quantitative PCR method for the detection of low levels of apoptotoic DNA fragmentation in a heart failure model. Japanese Journal of Physiology 2000;50:281-284. Yin JL, Chaufour X, McLachlan C, McGuire MA, White G, King N, Hambly B. Apoptosis of vascular smooth muscle cells induced by cholesterol and its oxides in vitro and in vivo. Atherosclerosis 2000;148:365-374. McLachlan CS, Jelinek HF, Kummerfeld SK, Rummery NM, Jusuf PR, Hambly B, McGuire MA. Cross-sectional infarct edge jaggedness does not influence ventricular electrical stability in a rabbit model of late myocardial infarct healing. Redox Report. 2000;5: 122-3. McLachlan, C.S., P.R. Jusuf, N. Rummery, S.K. Kummerfeld, Hambly, M.A. McGuire, and V. Turner. (2003) Tyramide signal amplification enhances the detectable distribution of connexin-43 positive gap functions across the ventricular wall of the rabbit heart. Archives of Histology and Cytology 2003; 66: 359-365. Jayatilleke I, Doolan A, Ingles J, McGuire MA, Booth V, Richmond D, Semsarian C. sudden death prevented in hypertrophic cardiomyopathy. Heart, Lung and Circulation. 2003; 12:196-198. Jayatilleke I, Doolan A, Ingles J, McGuire MA, Booth V, Richmond DR, Semsarian C. Long-term follow-up of implantable cardioverter defibrillator therapy for hypertrophic cardiomyopathy. Am J Cardiol. 2004 May 1;93(9):1192-4. McLachlan CS, Hambly BD, Almsherqi Z, Oakley RE and McGuire MA. Transfer of mouse embryonic stem cells to sheep myocardium. Letter. Lancet 2006; 367:302. McLachlan CS, McGuire MA. Characterization and Incidence of Inducible Monomorphic Ventricular Tachycardia in a Post-Infarction Rabbit Model. Journal of Electrocardiology 2007;40:89-93. Chan KH, Ghosh J, McGuire MA. Over 150 potentially low-value health care practices: an Australian study (Letter) Medical Journal of Australia 2013;198(2):84. Femia G, Hsu C, Singarayar S, Sy RW, Kilborn M, Parker G, McGuire MA, Semsarian C, Puranik P. Impact of new task force criteria in the diagnosis of arrhythmogenic right ventricular cardiomyopathy. International Journal of Cardiology 2014: 171:179-183. Gray B, McGuire MA, Semsarian C, Medi C. Late Positive Flecainide Challenge Test for Brugada Syndrome. Heart Rhythm 2014;11:898-900. Ghosh J, McGuire MA, Kilborn M, Singarayar S, Medi C, Sy RW. Shock-resitant ventricular fibrillation. International Journal of Cardiology 2014:174:e26-28. Hunyor I, Abed HS, Sy RW, Hodkinson EC, Santucci P, McGuire MA. Intermittent failure of pacing output caused by algorithm to prevent T-wave oversensing. HeartRhythm Case Rep. 2016 Mar 31;2(4):286-289. doi: 10.1016/j.hrcr.2016.01.003. eCollection 2016 Jul. McGuire MA. What is the slow AV nodal pathway? In “Atrial-AV nodal Electrophysiology – State of the art at the end of the century”, Eds. Mazgalev T, Tchou P. Blackwell 2000. De Bakker JMT, Janse MJ, McGuire MA, Loh P, Thibault B, Hocini M. “Electrophysiology of the atrioventricular junctional area: lessons from experimental models” in Ten years of Radiofrequency Catheter Ablation, Eds. Farre J, Moro C, Futura, Armonk, 1998. Kilborn MJ, McGuire MA. Exit block, supernormal conduction, concealed conduction. In “cardiac electrophysiology: from cell to bedside” Eds. Zipes D, Jalife J. Saunders, 2004. “Implantable defibrillators are the first line treatment for ventricular arrhythmias”. McGuire MA, American College of Cardiology Extended Learning. February 1999; 31.